In Episode 15 we introduce Salle Benson an endurance warrior. Originally from Ohio, Sallie found her taste for adrenaline and fitness at a young age from her father’s influence. She went into the U.S. Naval Academy after High School, and four years later was commissioned as Marine Corps Officer. Sallie’s journey of fitness from high school sports to Marine Corps physical training, conditioning hikes with packs, and martial arts eventually led her to endurance sports. 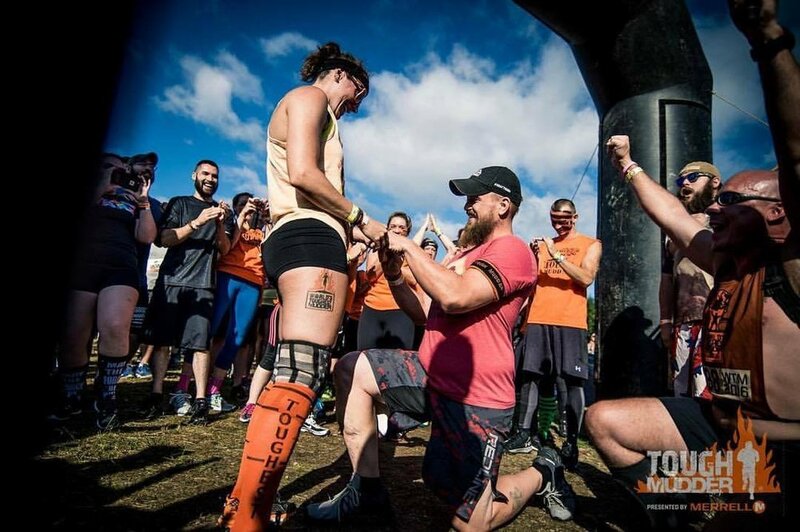 She competed in her first Tough Mudder in 2013, and then went to race in Las Vegas in 2014 at the World’s Toughest Mudder. After 2014, Sallie recognized her fitness wasn’t what she thought it was, despite tough training in the military. Sallie found CrossFit in 2015, and has changed her training routines and lifting with purpose, to gain strength and endurance. She went back to race in Las Vegas in 2016 and 2017 improving each year. Sallie is an animal lover with 2 rescue dogs and 3 rescue cats. She’s an amazing person to be around, with a will to persevere through the toughest of challenges. Her fiancee tells her during her times of focus in a workout that she’s in her dark place. She’s no stranger to mental toughness. Listen to Sallie’s story, as she describes her journey through fitness and the process of change she enjoys. The fitness lifestyle isn’t about the end state, but as Sallie reminds us, it’s the good and bad along the way, the community, and the journey itself. Completing 55 miles of World’s Toughest Mudder in 2015. Sallie working on her lifts, and training with purpose.